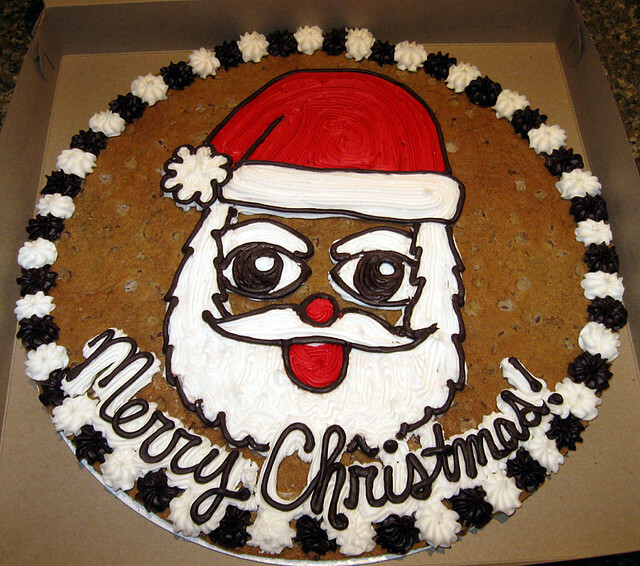 Christmas wouldn’t be complete without a giant cookie to add to the rest of the Christmas junk we eat this time of year. TICK TOCK. Christmas begins in just a few short hours!! Also? I found out that we have a 100% chance of snow tomorrow. A White Christmas???? I can’t even remember how long it’s been since we had a white Christmas. I hope the weather guys are right! And while we’re in the Christmas music mode … here is more of Jazz’s Christmas, oops WINTER, *rolls eyes* concert. I took these videos with my phone, so the quality is not that great, but the sound is decent and that’s all that matters. I focus on the right side of the group because Jazz is the saxophonist in the white shirt on the very end. Also. I thought the Drumline’s portion of the concert was pretty cool – so I took a video of them, too.